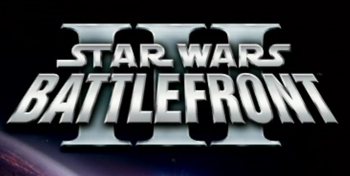 The third Battlefront title was nearly complete when it fell on its own lightsaber. Star Wars: Battlefront III will never see the light of day, and that fact alone is enough to make many gamers a bit sick to their stomach. But a recent interview by gamesTM with Steve Ellis, co-founder of the game's developer Free Radical Design, gives the story of Battlefront III an even more tragic twist. Along with revealing a few tantalizing gameplay tidbits about the canned title, Ellis notes that the game was "99% finished" when it met its untimely end. "We had a 99% finished game that just needed bug fixing for release," Ellis explains. "It should have been our most successful game, but it was cancelled for financial reasons." Earlier this year a lengthy gameplay video was leaked, showing roughly an hour of the game. At the time, it was clear that the project was rather far along in its development, but the revelation that the game made it to the final bug-crushing phase before being cancelled is downright brutal. That video has since been pulled from nearly all corners of the web due to a copyright claim by Lucasfilm. Offering a bit of background into the nuances of the game's cancellation, Free Radical Design's Project Manger, Martin Wakeley notes "As a member of staff I could see our relationship with LucasArts becoming more distant and feared the worse. They had a change of management and a change of direction. I wasn't party to all the ins and outs but we had both our games signed with them, and it became apparent we needed to look for other projects fast." But hey, at least we got Star Wars Kinect, right? Right! ?